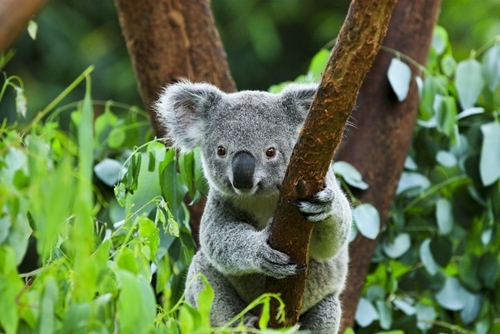 Get to know Australia's favourite tree-huggers at Taronga Zoo. Just across the harbour, the 4,000 animals of Taronga Zoo lie in wait. That's right – 4,000 animals! Taronga Zoo is Sydney's own sanctuary for both furry critters and animal lovers alike. 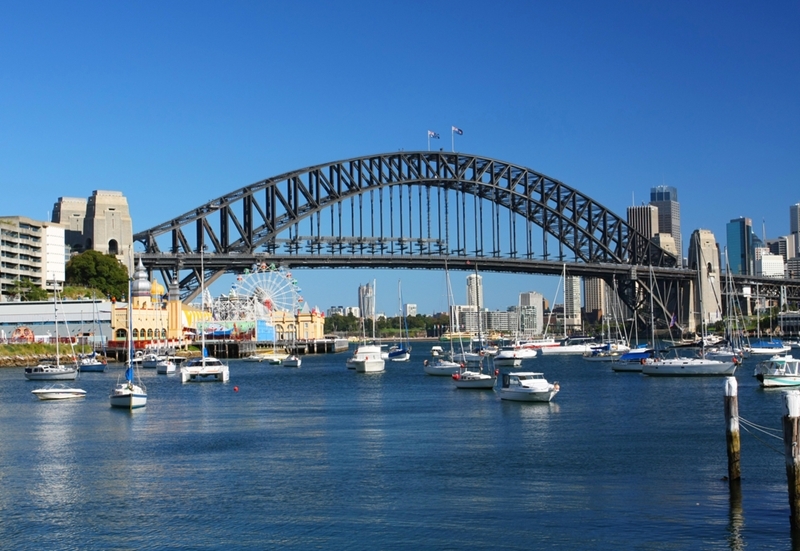 The zoo itself is only a short journey from the Macleay Hotel – allowing you to enjoy the beautiful sights of Sydney's harbour at the same time. To help you get the most out of your visit to Sydney's beloved animal conservation centre, here's our guide to Taronga Zoo. Getting to Taronga Zoo from the Macleay hotel is a breeze. There's no need to worry about renting a car if you're visiting from far away. Getting to Taronga Zoo from the Macleay Hotel is a breeze, with numerous different public transport options. We recommend a short walk to Kings Cross Station which is no more than 10 minutes from the hotel. From there, you can catch the T4 line to Martin Place Station. Next, you'll walk another easy 10 minutes through Sydney's CBD to Circular Quay. The F2 ferry departs Circular Quay every 30 minutes, and directly connects to the zoo's doorstep at Taronga Zoo Wharf. Choosing to take the ferry is not only the fastest way for you get to the zoo, but it means you get to be out on the water and enjoy the sights of Sydney's true blue harbour such as the iconic bridge and the Opera House. Jump-start your morning by getting out on the water as you head to Taronga Zoo. For the most immersive adventure through the zoo, we recommend booking on a Wild Australia Experience tour. For up to two hours, you and a group of up to seven other people will be escorted around the zoo by one of the keepers, getting special access to behind the scenes operations at the zoo as well as an in-depth introduction to many of Australia's most curious native wildlife. In particular, you'll be invited to venture backstage at the Australian Nightlife house to encounter unusual homegrown nocturnal creatures. The "animal kitchen" will be another stop on your tour, where you'll see how the animals' food is all prepared before you get to witness feedings. 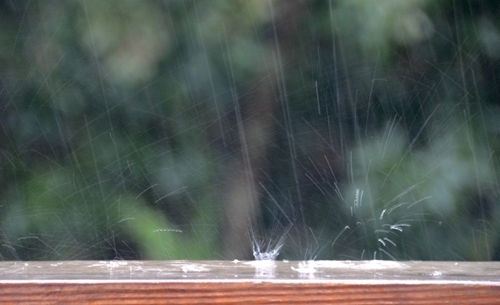 At Taronga Zoo, you'll have the opportunity to hand-feed some of your favourite animals. Best of all, your guide will join you in the koala enclosure for a close-up photo opportunity with Australia's favourite tree-huggers. To round it up, you'll receive morning or afternoon tea and a take-home souvenir. The Wild Australia Experience costs $129 for adults, or $83 for children aged 4-15. Bookings must be made at least 48 hours in advance and launch daily at 10:15 a.m. and 2 p.m., so be sure to plan your visit accordingly. If there's a particular animal that you want to see more than any other, there may be a better option for you. Giraffes – get eye-to-eye with these African giants. 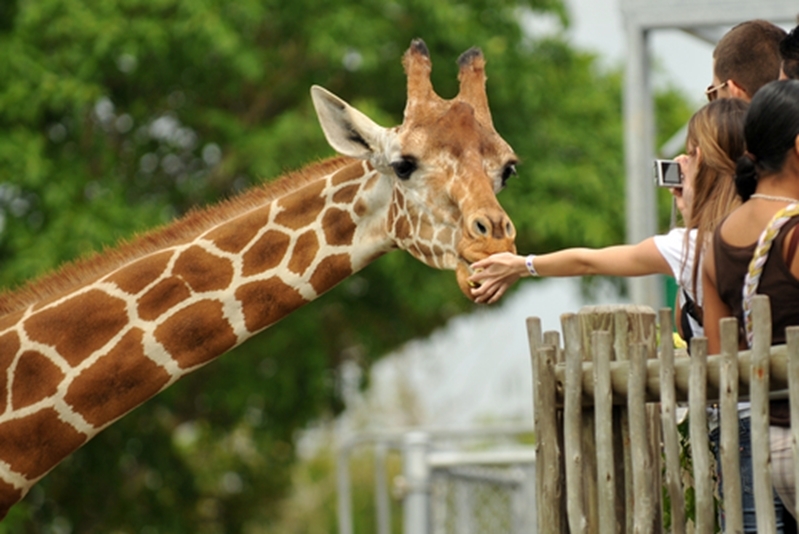 For $26.95 per ticket, you'll enjoy hand-feeding the gentle herbivores under keeper supervision and receive a complimentary photo souvenir. Each ticket covers access for four people. Koalas – Australia's heaviest sleepers unfortunately can't be touched, but for $24.95 per person you'll be privy to an enlightening conversation with specialist keepers and a rare photo opportunity. Each ticket covers access for four people. Little penguins – partake in these adorable marine birds' daily feeding ritual, giving them fish right from your hands. As a particularly intimate encounter, this one costs $49.95 per person. Powerful owls – tickets for this encounter do provide for four people, however only one person from each group will be invited to have the owl rest upon their arm for a photo against the beautiful backdrop of Sydney's harbour. Tortoise – during the hotter months of the year, you can get your hands on giant Aldabra tortoises (literally!). Feed the tortoises, touch their shells, and pose for a photo. Tickets are $19.95 for the first person, and $10 for any additional. After a long day of walking and getting to know the incredible fauna of Australia, make the journey back to your home-away-from-home at the Macleay Hotel. We recommend a dip in our outdoor swimming pool to cool you down, followed by an evening drink delivered right to the door of your suite. For inquiries into booking a room – and anything else we can do to help make your stay unforgettable – get in touch with the team at the Macleay Hotel today.